Once a coworker teased me about how many cousins I have. I don’t know if it is just a Native thing or not, but we have big extended families. If you are from a small village, you are likely related in some way or another to everyone. My late aunt and uncle, Amelia and Lloyd DeWilde of Huslia, had 14 children. You can see right there that I have a lot of cousin, and that is just from one of my aunties. Late Amelia and Lloyd raised their children in a homestead about 100 miles north of Huslia. My cousins grew up in a camp lifestyle and were homeschooled. They did travel to Huslia a few times a year to visit and get supplies. 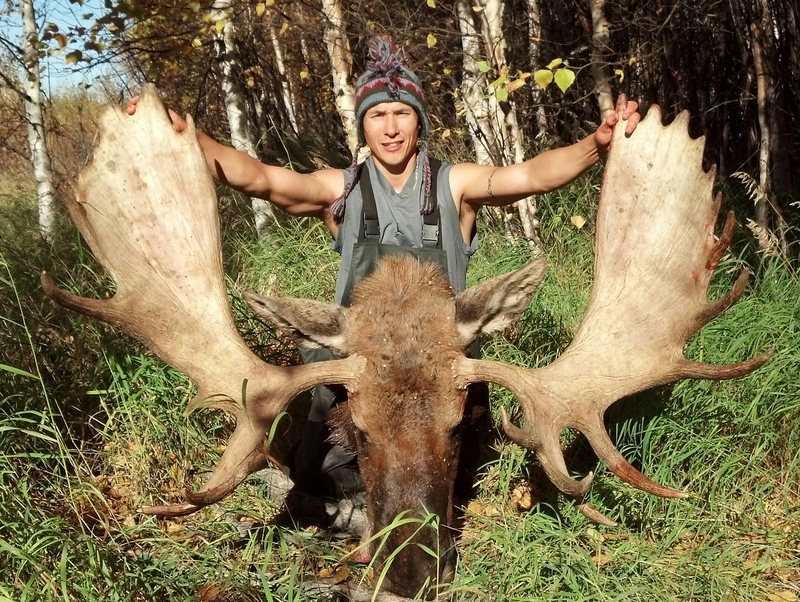 My cousin, Ricko DeWilde, lived with us for a while in Bettles, Alaska to go to high school. My cousins often talked about what it was like to grow up in camp. I always wanted to visit when my aunt was alive, but never got a chance to. I asked Ricko to share a little bit about what it was like growing up in the wilderness. Life in the wilderness was tough. They struggled to get the basic necessities, like water, food and wood. They worked hard and had to prepare carefully for each season. They lived a subsistence lifestyle by hunting, fishing and gathering. They had to adapt to their environment. 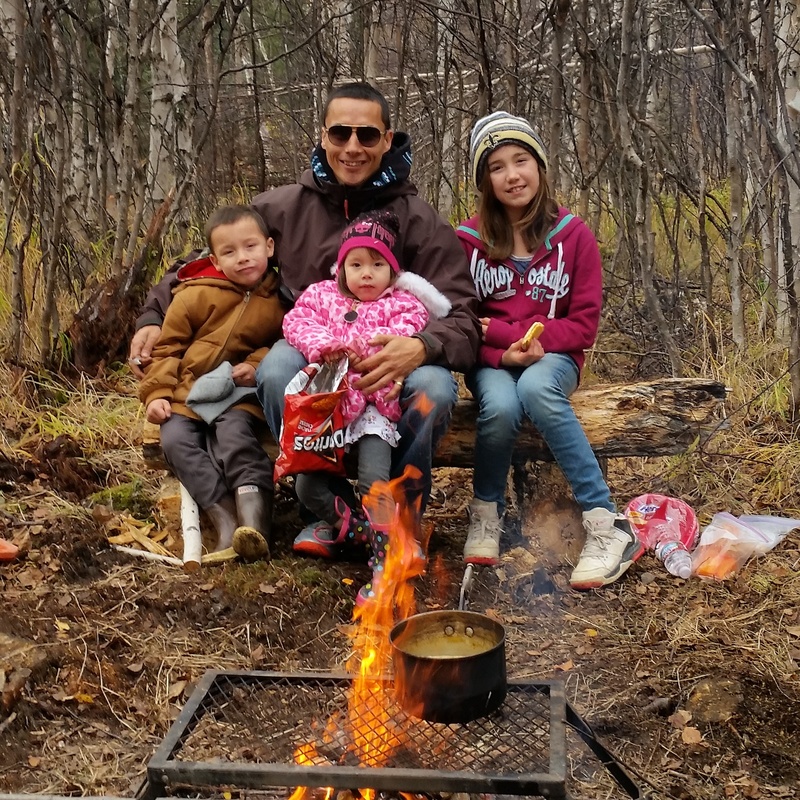 Ricko says, “We know what animals are in season as far as being fat; we know where to go to get this animal; and we know what type of equipment and gun or trap to use to achieve this goal.” The survival skills he learned growing up in camp has helped him succeed in the modern world. One of the hardest lessons to balance for him was taking too many chances with his life. When he was younger, he took many risks, like crossing thin ice or canoeing where he shouldn’t be. Late Aunt Amelia told him stories about people who took too many chances and finally got hurt, crippled or killed. Ricko says, “She said that when we’re young it’s like the creator lets us have a lot of chances, but eventually our risks will bite us.” According to Ricko, she went on to say that it’s especially foolish to continue taking chances as we get older because that’s when our luck begins to fade. Ricko remembers that talk from his mom and decided to quit taking as many chances. 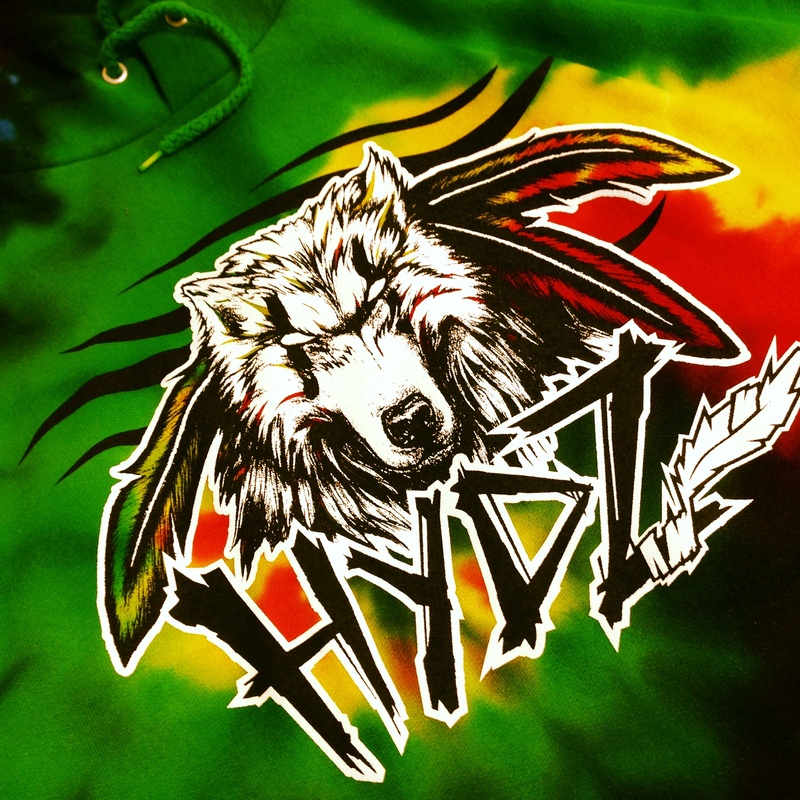 With the Alaska Federation of Natives Convention coming up, Ricko will debut a new design at the Hydz booth. According to Ricko, tie dye has become very popular, and he hopes the younger folks are going to be excited to see this new design. Ricko’s friend, Samuel Johns (aka Rebel), released a song called, Hydz. Watch the new video for Hydz, released by Rebel, featuring Antoine Edwards. Ricko says, “I’m very proud and appreciative of Sam in all he’s done and his ability to connect and share the networking floor with other natives.” Ricko had a great time working with Samuel and was grateful to connect with new friend Butchie Eastman, Antoine Edwards, and Geronimo Ramirez. Samuel is a strong supporter and often wears Hydz gear when he is performing. While Ricko is most well-known for his Hydz line, he is also known for helping many elders, friends and relatives in the interior villages through hunting. He also is a strong advocate for the Fairbanks Four, by going on rallies and speaking up using his voice. Ricko believes there are too many Alaska Natives and American Indians who are targeted and wrongfully charged by police and being broken off with harsh sentences for crimes they did and didn’t do. He also believes there are too many Native people in justice system and that percentage is disproportionate when you compare it to the general US population. I have always admired how my DeWilde cousins are physically active and fit. Growing up in camp, you have to be physically active to survive and they have carried that forward. I remember they used to come home to Huslia during the 4th of July races/games, and win a lot of the physical competitions. Kudos to Ricko for not getting to comfortable in the city life, and continuing to work out and be physically active. While he still has more lessons to learn in life, I think Ricko is doing pretty good. He does his best in achieving his goals. He is independent and works hard to support his family. I’m sure my late Aunt Amelia and Uncle Lloyd would be proud of the man he has become today.